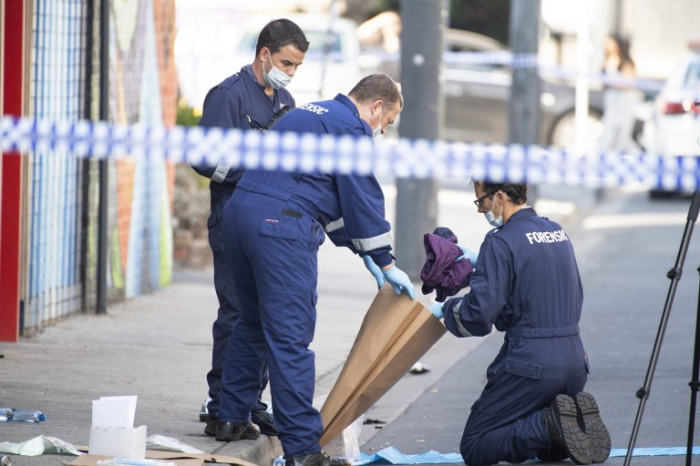 A drive-by shooting outside a nightclub in Australia has left one man dead and three injured. Shots were fired from a car into a crowd standing outside the two-story Love Machine club in Melbourne, hitting three security guards and one patron, police said. Officers confirmed that a man aged 37 was killed. He is believed to be one of the security guards at the club. Two men aged 29 and 50 were injured in the attack, while a man aged 28 is said to be in a critical condition. Police are appealing with anyone with information to come forward. They have made no arrests so far. They are investigating whether a black Porsche SUV seen leaving the area is related to the shooting. The vehicle was later found burnt out.